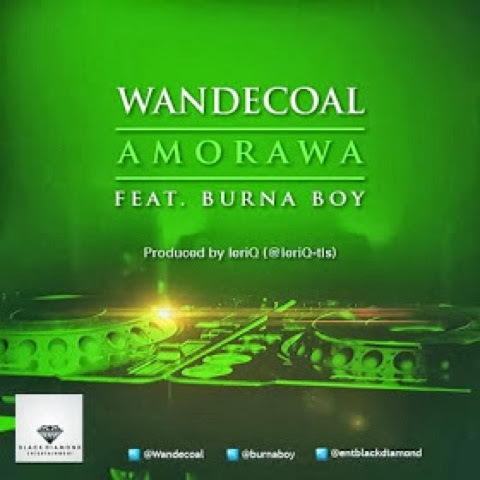 Black Diamond Ent present the newest single from their record label ‘Amorawa’ by Wande Coal. The song comes ahead of Wande Coal's sophomore album release, which is meant for release before the year ends - but no word on it so far. Produced by Leriq, the song features Burna Boy who drops a hot verse with a reggae twist. ‘Amorawa’ is a smooth chilled jam, with a reggae flair. Definitely one of the best collabos I've heard all year round from the Nigerian music scene. Wande Coal is a true artist, and Burna Boy can spin any track he's on. Wande Coal's forthcoming album is gonna be a good one. Take a listen to ‘Amorawa’ below!